Located in an exceptional area on Puerto Vallarta’s beautiful Banderas Bay, Villas Vallarta by Canto Del Sol provides an equally exceptional vacation! 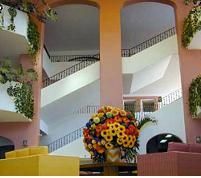 Comfortable and contemporary, the accommodations feature numerous amenities, an exciting selection of activities and nearby, the lively city of Puerto Vallarta. 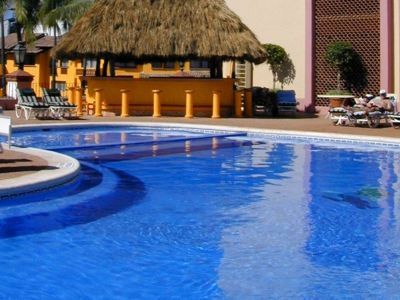 These Puerto Vallarta timeshare resales offer the best in vacationing. Studio, one and two bedroom timeshare suites are generously sized and tastefully appointed for complete comfort and ease. 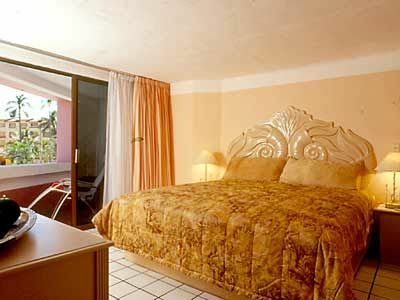 Bedrooms feature king or double beds with upgraded bedding. A pull out sofa bed is in the living area. A fully equipped kitchenette features everything needed for a light meal or snack. Dining and living areas add to the spaciousness of the suites. Full bathrooms (two bathrooms in the two bedroom unit) have a shower/tub combination, fluffy towels and bathroom toiletries. Suite amenities include cable TV with premium channels, air conditioning, in-room safe and telephone. 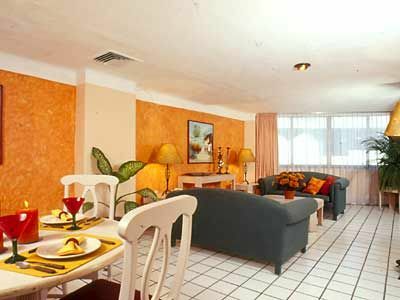 Villas Vallarta by Canto Del Sol features outdoor parking, maid and laundry services, and 24-hour security. Internet access is available in the lobby. With 24-hour front desk service and a concierge desk, you’ll find answers to your questions and help in planning the ideal area adventure. The resort features a fabulous outdoor swimming pool surrounded by tropical gardens. Try the poolside bar/restaurant for a refreshing drink or meal. Enjoy the fitness center, solarium and spa with massage treatments. A shopping center, conveniently located adjacent to the property, has restaurants, internet cafes, shops, and grocery stores. Only 5 minutes from the beach and 10 minutes from Puerto Vallarta, you’ll have everything needed for an exceptional vacation when you buy a timeshare resale at Villas Vallarta by Canto Del Sol. Contact Villas Vallarta by Canto del Sol Specialist Today!